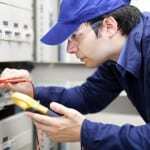 A fully licensed commercial electrician from our team will take care of all your needs so you are assured of a quality result in Indian Trail. Being a commercial electrician serving the Indian Trail, North Carolina area is something we take seriously at Lamm Electric. We recognize that the needs of a business are far different than those of a homeowner. You can count on us for prompt reliable service for all your electrical needs, including breaker box installation, fuse box rewiring, access control rewiring, specialty electrical work, and lighting installation. One of the things we do that makes us the best commercial electrician you can have is that we will work around your schedule– not the other way around. We understand that disruptions must be kept to a minimum so your business is not adversely affected. We also recognize that promptness is vitally important and offer emergency services should you need them. With us, you can rest assured that you are working with a professional crew that is trained and focused on your 100% satisfaction. A fully licensed commercial electrician from our team will take care of all your needs so you are assured of a quality result. Everyone on our payroll is highly trained to handle your commercial electrical needs. We also beat out other companies with our longevity. Our family owned and operated company has been providing quality commercial electrical services since 1993 – that is nearly a quarter of a century! You can count on us for quality work that we stand behind, as we plan to be around for the next 20+ years as well. 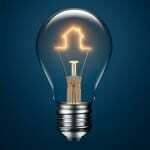 Call us today with any questions or to set an appointment for your electrical needs.